The Fourth Edition of the classic Construction Funding acquaints professionals and students alike with the critical tools needed for developing any successful real estate venture. 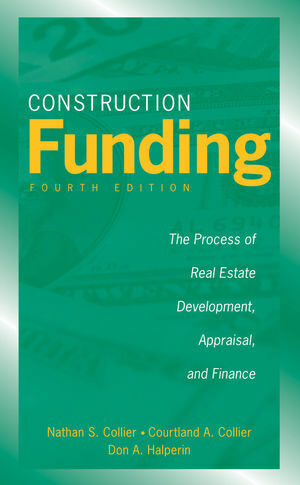 Using a case example of an actual apartment development, Construction Funding walks the reader through each phase of the project, offering invaluable guidance on selecting markets, rating sites, choosing construction professionals, raising capital, understanding financing options, and mastering cash flow management. Additional learning features such as key term definitions, chapter summaries and review questions, and learning objectives have been added. A complete reference section for additional information. NSC Blog - A Blog on Personal Leadership Nathan Collier's personal blog, where he discusses issues of importance for construction and real estate. 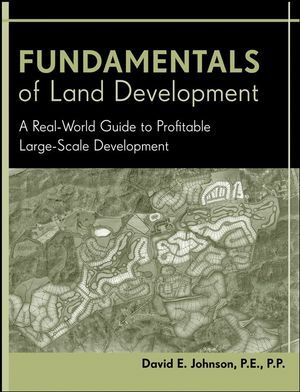 Based on author's real-world experience buying and developing real estate properties for the past 25 years--over 5,000 apartments, 3million square feet.